"The Recruiting Officer," a comedy of manners by George Farquhar, 1706. 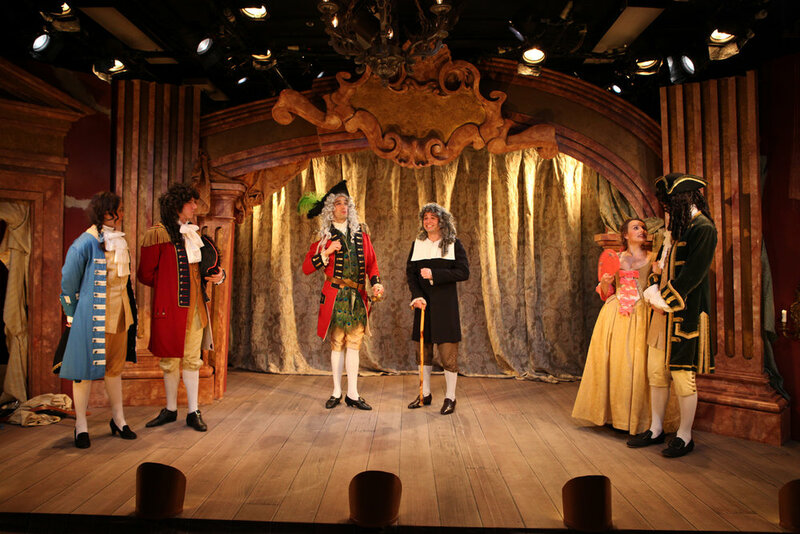 An interesting thing to note: The Recruiting Officer was the first show ever performed by a theatre company in the American Colonies, in New York City on December 6, 1736. 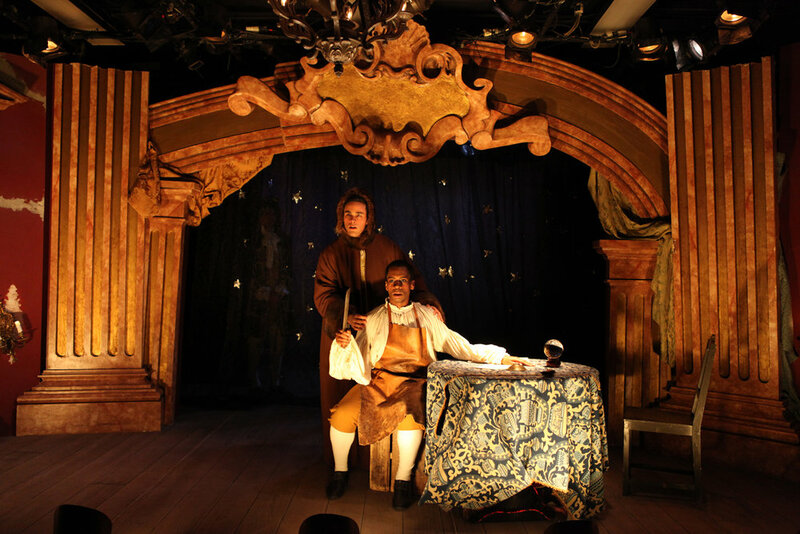 The 2013 NYU production was a nod to that performance. The concept is that of a theatre troupe who have arrived at our (notoriously undersized) Shubert Theatre, and finding there was not enough space, had to chop up their set designed for the theatre in which it was originally performed--note all of the oversized elements: curtains dragging the floor, the canvas drop bunched up, the floor rolling over the edge of the stage, and the oversized baroque architecture among other things.